It is a graceful, spiritual process designed to help heal your spiritual, mental, emotional, and physical bodies. It is rooted in sacred ritual that allows you to access, identify, and release soul memories that hold you back in this lifetime. 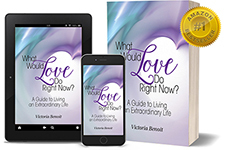 It is also designed to obtain the information needed to better understand your purpose and to address self-sabotaging life patterns, as well as connect to the world with greater harmony, peace, and compassion. This method is helpful in releasing the physical symptoms of arthritis, asthma, headaches, digestive disorders, immune disorders, and seizure disorders. It is also useful in restoring the emotional and addiction issues of depression, anxiety, phobias, rage, fears, and post-traumatic stress disorder. In addition, it can resolve the lack of mental clarity in problematic relationships, feelings of isolation, invisibility, scarcity, hopelessness, and despair. What will you discover during a soul memory session? Your body holds the memories of every thought, emotion, and physical experience that has ever happened to you in this lifetime. Your aura—the electro-magnetic field around your body—holds the memories of everything that has ever happened to your soul throughout time. The session begins with balancing the polarity of your energy field with that of the Earth’s in order to open sacred space where unambiguous and authentic soul memories can be retrieved. Once the source of the issue that holds your symptoms in place is identified, released, and cleared—through asking logical “yes-no” questions—the limiting physical, emotional, or mental condition ceases to exist. Throughout the session, you are fully alert, aware, and a full participant. The process is gentle, safe, uplifting, empowering, sacred, and immediately effective and lasting. After an initial session you can begin to work on more advanced processes that raise energy vibrations and deepen the connection within the heart allowing more love, light, and joy to flow into your life. You may experience greater compassion for yourself and others as well as begin to feel a stronger affinity with Source (God). Since Soul Memory reveals your life’s purpose and the unique contributions only you can make to the world, you may be pulled powerfully into action to be what you came here to be and to do what you came here to do.